The smell and flavour of freshly made dough combined with the convenience of bake-off products. That perfectly describes bak ‘m beet. A complete product range consisting of deep-frozen dough and ready-made mixes. 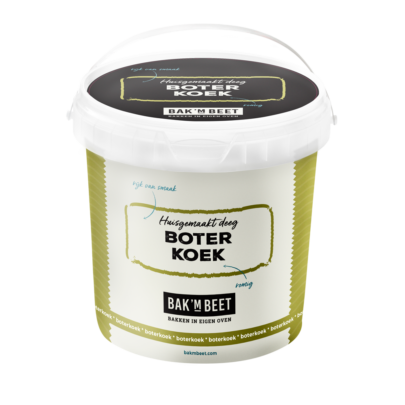 It is easy to use as the dough and mix is delivered ready-for-use in the right quantities. This way people can be surprised with a freshly baked product with an artisan hint. Our pure and homemade products meet the strictest standards and can be used extensively. All mixes & doughs are easy-to-use. Defrost, scoop, bake, decorate (optional) and serve immediately. 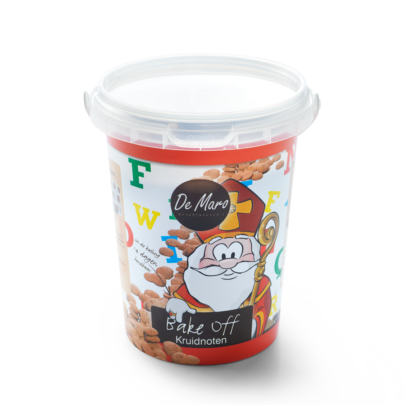 Did you know that De Maro can provide training for your staff in its own test bakery in Berkel-Enschot as well as on location? Especially for prospective top bakers! A delicious cookie and the perfect ingredient for desserts or to accompany ice cream. And a feast for the eye of course, with its pretty cracked crust. Butter cake traditionally tastes great with coffee or tea. It becomes completely authentic with some almonds on top and few fork stripes. A holiday breeze wrapped up in a cookie! It has a soft structure but still a solid bite. A delicious cookie for coconut fans and the perfect ingredient for desserts or to accompany ice cream. And of course, a feast for the eye with its pretty cracked crust. For the conscious chooser: an oatmeal cookie. Ideal with coffee, high tea and desserts. All the way from America! That typical crunch and flavour sensation of vanilla and chocolate chunks. Irresistible! 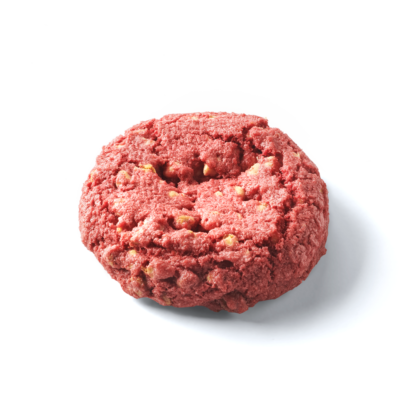 An American cookie in a red velvet cover. This delicious cookie is filled with chunks of white chocolate. Muffins are suitable for endless display options and because of their lush looks they are truly irresistible. With real chocolate chunks. A crispy, golden crust and soft on the inside, with true vanilla flavour. That perfectly describes this muffin. The refreshing taste of banana combined with walnuts: with this dough you’ll make the most delicious banana breads and muffins. You can slice the cake for example, toast the slices and finish with a delicious chocolate or caramel topping. Enjoy typically Dutch egg sponge cakes. This recipe guarantees an egg sponge cake that is crispy on the outside and soft and airy inside. Really tempting, the flavour of freshly baked waffles. A hint of vanilla provides a sophisticated flavour. Extra delicious with some icing sugar, ice cream, fruit or a chocolate topping. Especially for the Dutch tradition of ‘Sinterklaas’! Ginger spiced cookie dough to bake the best Dutch ‘kruidnoten’ yourself.